Like gumbo or macaroni & cheese, chili con carne is one of my favorite comfort foods, and there are probably as many different recipes for it as there are people who cook it. --- This is my personal favorite. I suppose this should really be called chile con carne y frijoles (chile with meat and beans), since I put beans in my chili. I know that's an outrage to some, especially Texans, but the earliest historical iterations of chili did incorporate beans. 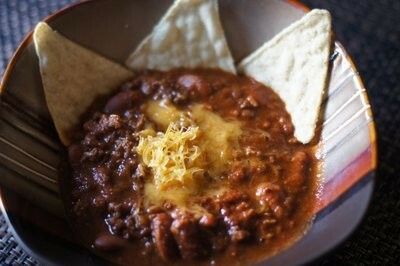 If you don't like beans in your chili, just leave 'em out. Also, I like to use a combination of ground beef and pork in my chili -- I think the pork gives an interesting added flavor dimension. Of course, you could use 100% beef, too. 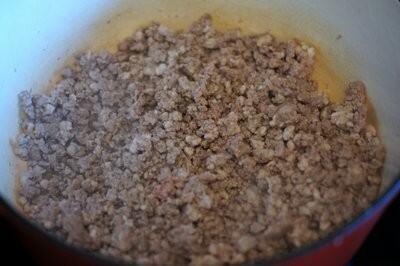 I grind my own meat using a combination of beef chuck and boneless country-style pork ribs. Soak the kidney beans in water overnight. 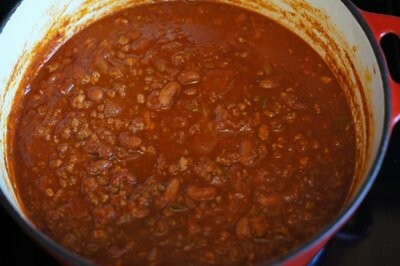 Before cooking the chili, drain and rinse the beans. 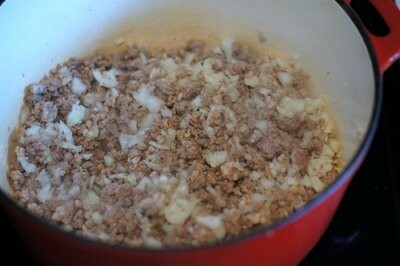 Cook the ground beef and pork in a large stock pot or dutch oven over medium heat until lightly browned. 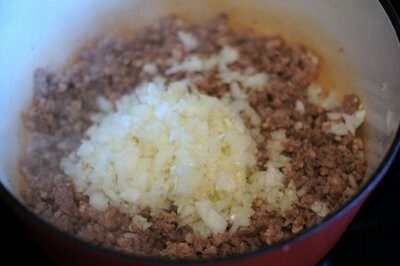 Add the onions and garlic to the pot and cook, stirring occasionally, until softened -- about 5 minutes. 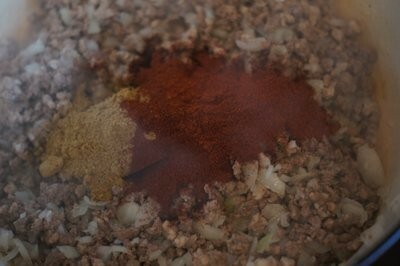 Put all of the spices and the chocolate into the pot and stir well. 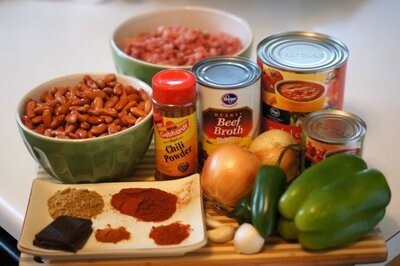 Next, add all the remaining ingredients except the salt: peppers, tomatoes, beef broth, water and kidney beans. Don't add salt until near the end of cooking or it will toughen the beans. 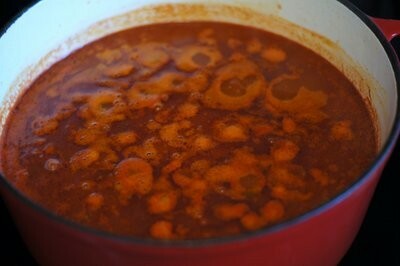 Stir well and cook at a simmer, uncovered, stirring occasionally, for about 3 hours, or until the beans are tender. 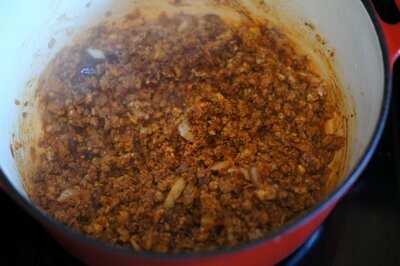 After 3 hours, the chili will have thickened considerably. 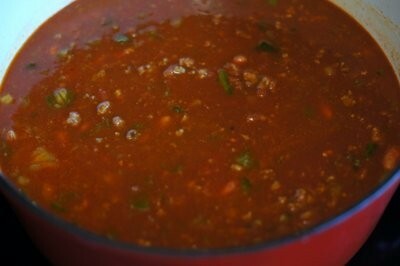 When the beans are tender and the chili is ready to serve, add salt to taste. 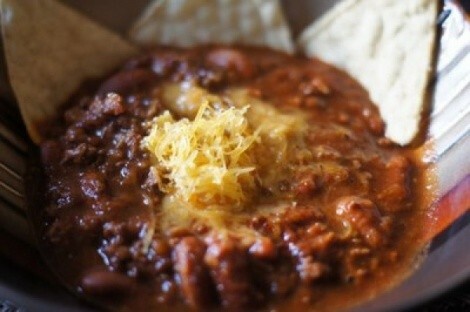 Serve with optional garnishes, like minced onion, shredded cheddar cheese, sour cream, etc.